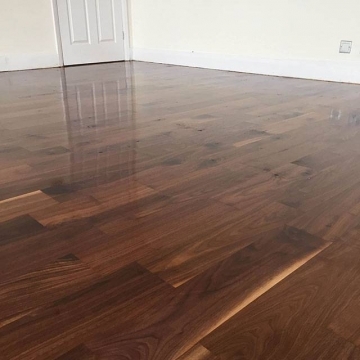 African Sapele had been covered in scratches induced over 25 years. 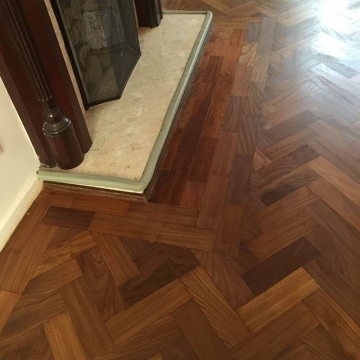 Sapele is a beautiful African wood which is grown mainly west and central Africa, places such as, Angola, Benin, Cameroon and Central African Republic. 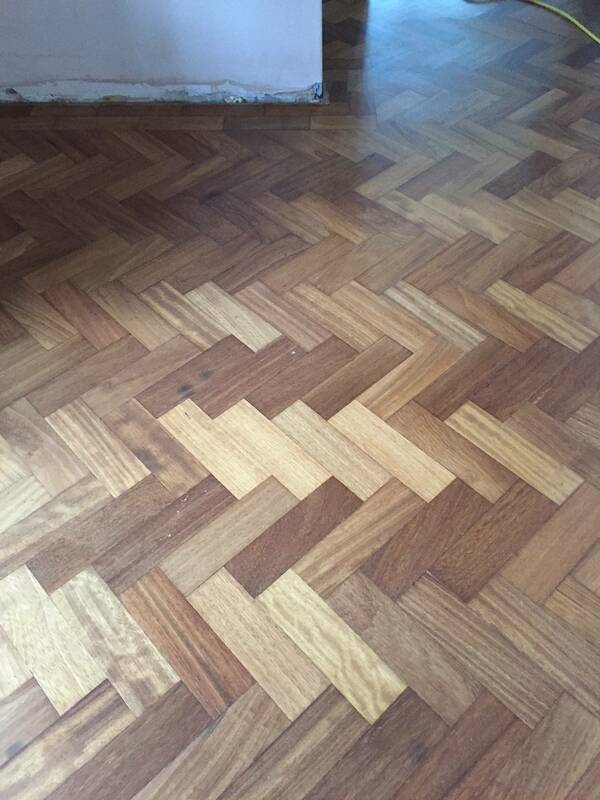 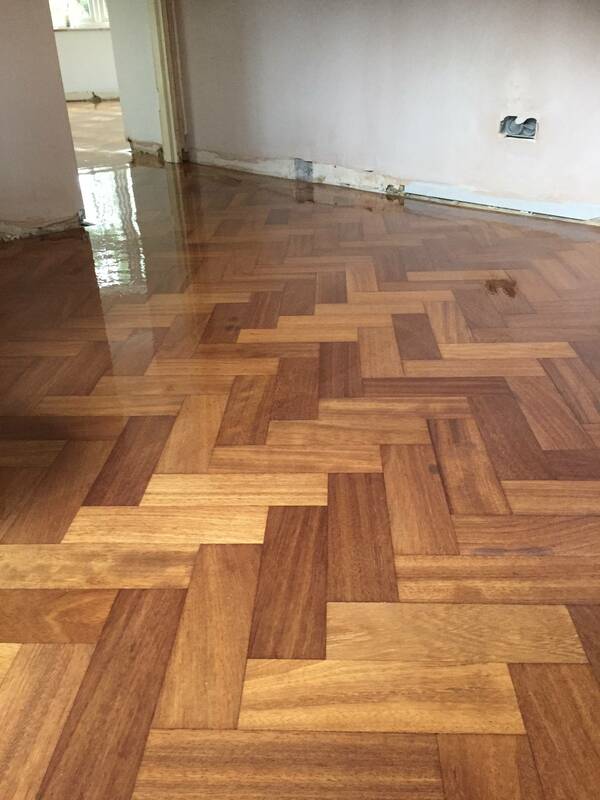 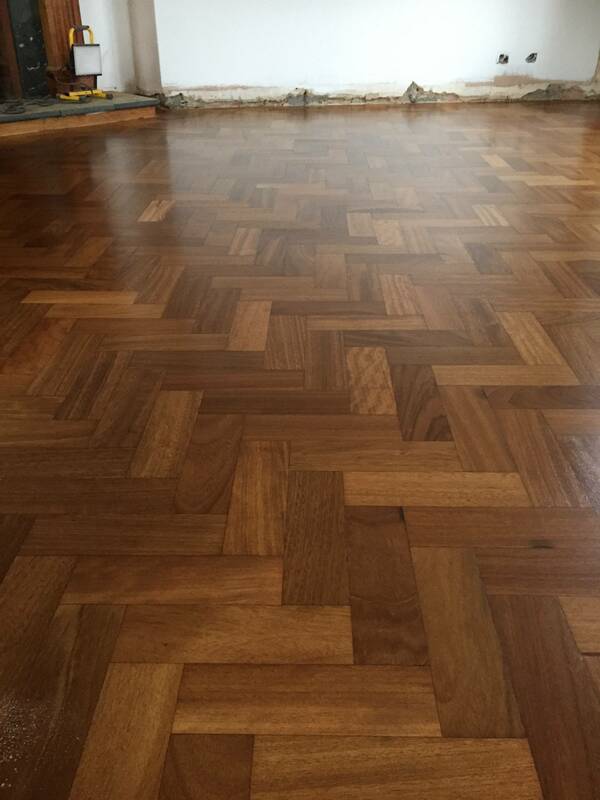 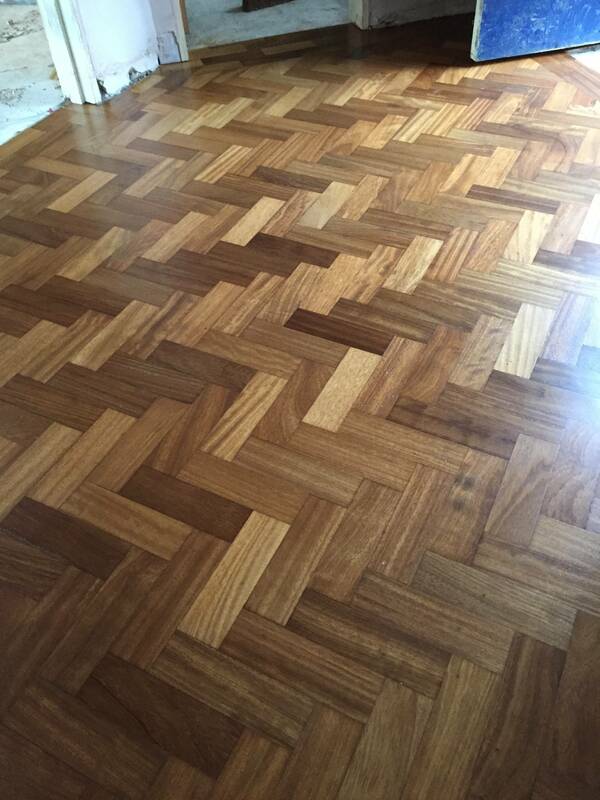 The parquet was installed in early 1960, this means the wood has been down for 59 years. The wood has never been sanded, the varnish used at the time has darkened significantly hiding the beauty of the wood. 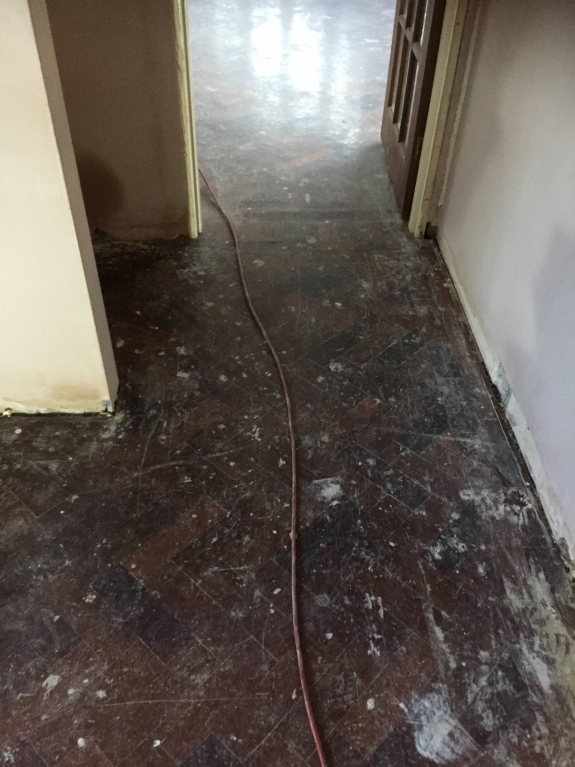 First of all we had to take up 10 square meters as the blocks were loose from hardened bitumen which was the adhesive used in 1960’s and earlier periods. 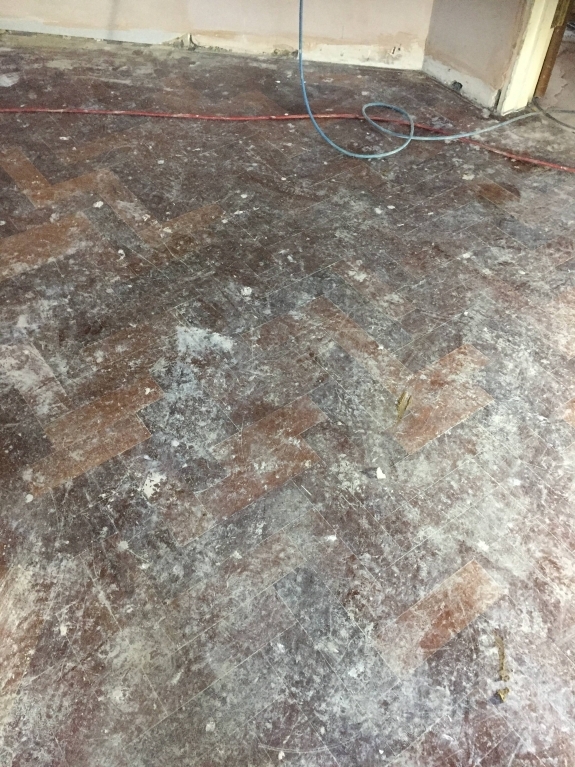 We machined the blocks to remove the bitumen, we also removed the bitumen from the concrete to provide better adhesion. 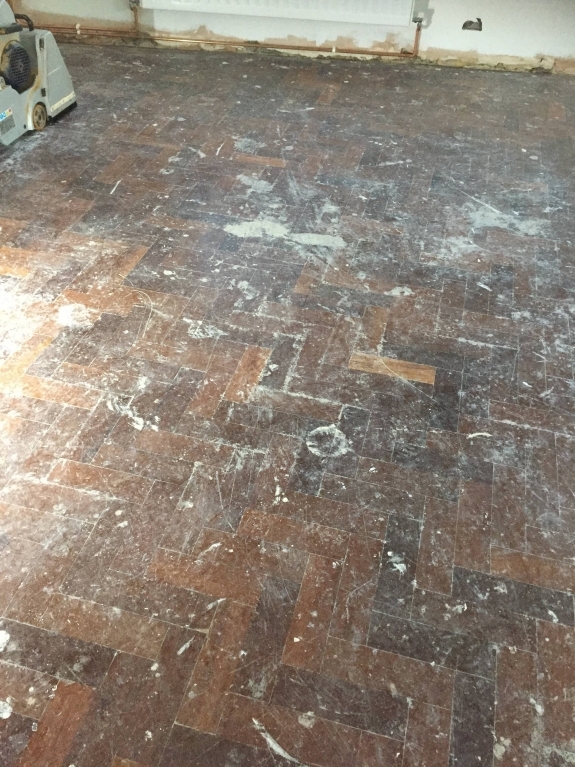 As this parquet was in really bad state, by inspection we understood that the wood had never been sanded, therefore the blocks have the full thickness of 20mm, meaning we can perform 24 grit sanding which removes all the scratches in two passes, leaving more than enough sanding for another 200 years. We moved all the way up to 120 grit fine sand paper before buffing the floor with 150 grit mesh and applying the primer coat. 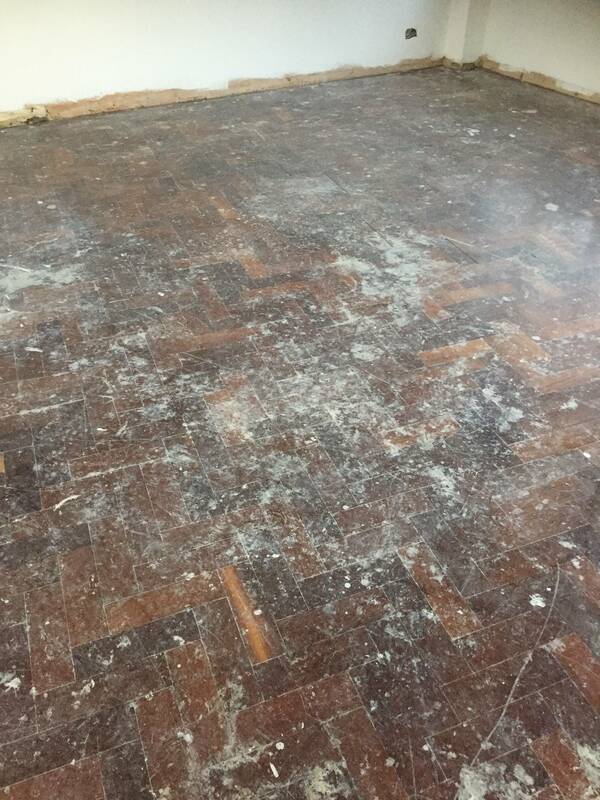 Once primer coat was applied it was left to dry to specified drying time. 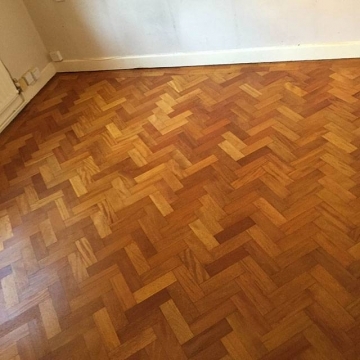 We performed denibbing before applying two coats of Bona Traffic HD. 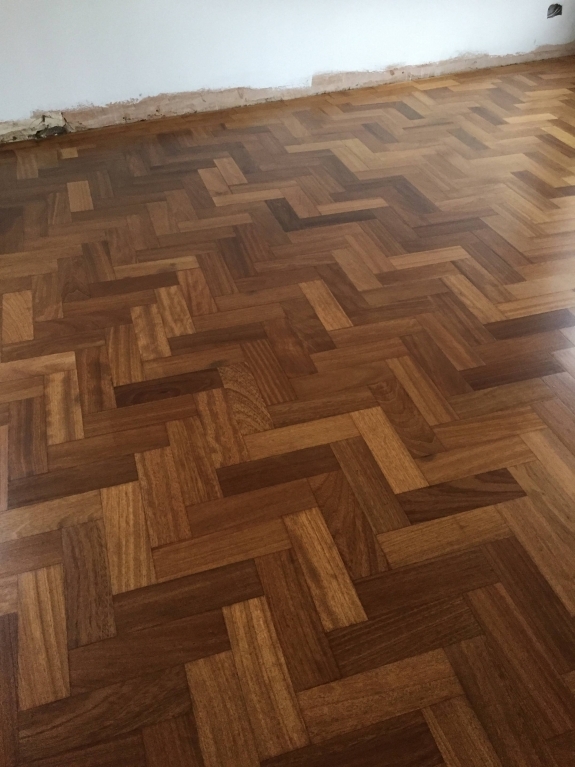 Mursel and Granit completed this project together, total time was 4 days to full completion.